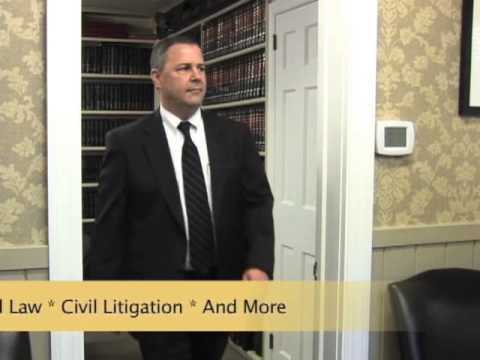 As the second oldest law firm in Ulster County, NY, Cook, Netter, Cloonan, Kurtz & Murphy, P.C. is a solid presence in the community and a trusted adviser for clients who are seeking highly skilled, experienced representation in insurance defense and coverage, personal injury, real estate and estate planning. We practice in all New York state and federal courts, the U.S. Court of Appeals for the 2nd Circuit and the U.S. Supreme Court, representing insurance companies and insureds. Established in 1905 by Andrew Cook, Sr., our firm carries on a well-respected tradition providing legal services of the highest caliber. Schedule an appointment today and experience the excellence we provide. An attorney who listens to you — We know how stressful a legal problem can be and how important it is to listen carefully to our clients. Our attention to detail enables us to resolve your legal matters efficiently and in the best way possible. We are known as friendly, responsive, courteous and highly dedicated attorneys. 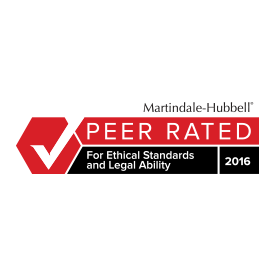 Professional representation — For professionalism and adherence to strict ethical standards, one of our attorneys is AV® Preeminent™ Peer Review Rated by Martindale-Hubbell®, and four of our attorneys are BV® Distinguished™ Peer Review Rated by Martindale-Hubbell. Experienced trial lawyers — Our Kingston, NY-based lawyers are skilled negotiators and have vast trial experience. Two of our attorneys have been litigators for more than 40 years and another has more than 35 years of trial experience. Insurance defense — We represent insurance companies and municipal entities in insurance defense matters such as accident claims, civil rights, title insurance and public and professional liability claims, among others. 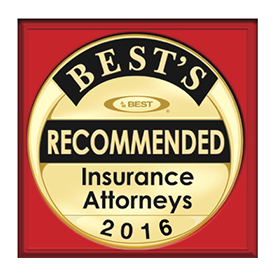 In addition, our attorneys are proficient in providing insurance coverage opinion letters and litigating declaratory judgment actions regarding coverage issues. Personal injury — We represent clients who are injured as a result of the negligence of others. We handle most types of personal injury claims, including automobile accidents, premises liability matters, slip and fall accidents, injuries suffered at construction sites and products liability cases. Real estate — We handle all aspects of commercial and residential real estate law, from real estate transactions to complex litigation. At Cook, Netter, Cloonan, Kurtz & Murphy, P.C., we have more than 100 years of experience representing clients statewide. Call us today at 845-943-2498 or contact us online. We offer weekend and evening appointments as needed. Our office is located in Kingston, NY, a block from the Ulster County Courthouse in the Old Dutch Church neighborhood. Have used them for over 40 years with excellent results. Cook, Netter, Cloonan, Kurtz & Murphy, P.C. is located in Kingston, NY and serves clients in and around Walker Valley, Olivebridge, Shandaken, Sundown, Ellenville, Kerhonkson, Tillson, Napanoch, Stone Ridge, West Shokan, Wawarsing, Lake Katrine and Ulster County.